The east side of the trail does appear to be in danger of being overgrown by honeysuckle. 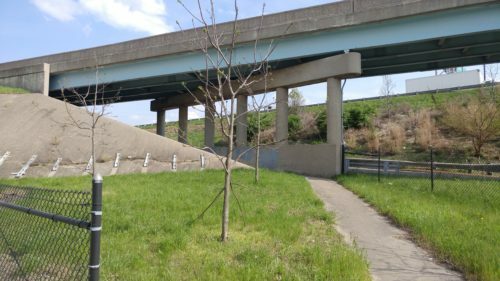 I’m not sure how often the city maintains the vegetation along this almost-forgotten route. Regardless, it’s a good thing that this exists. 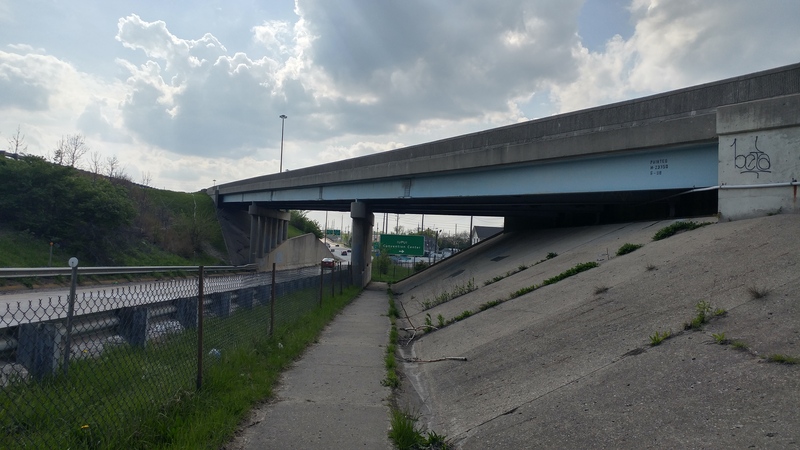 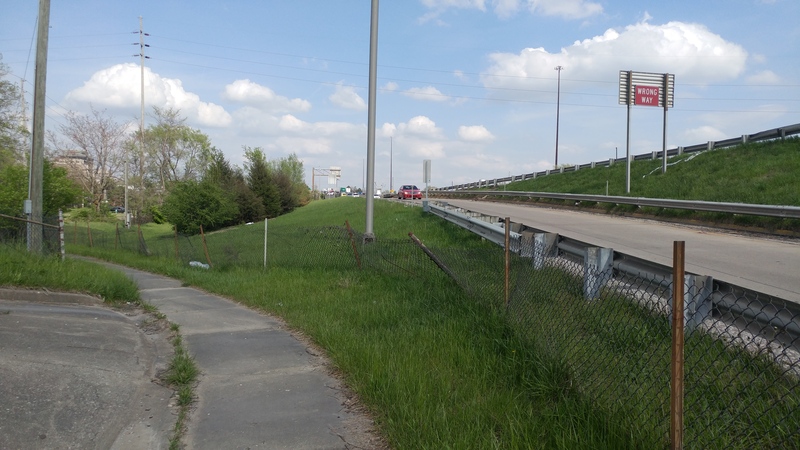 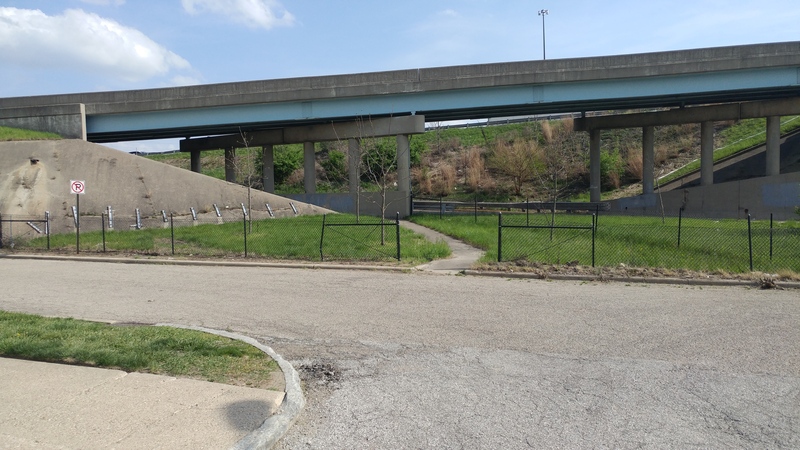 If the near southside can make a comeback instead of mainly serving as parking for Lucas Oil Stadium, this odd sidewalk might come in handy. Another one runs from the corner of Sanders and Wright streets north to Morris Street just west of the ramp to southbound I-65. 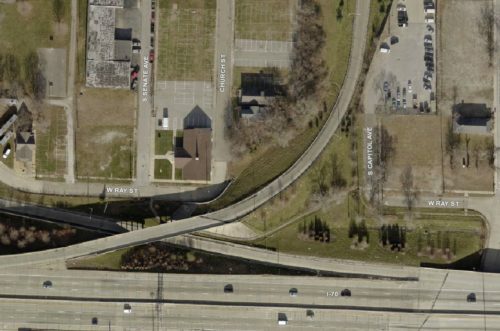 It had become so overgrown and unused that when the Bates-Hendricks Neighborhood Association cleared it out a few years ago, people thought that it was newly built.